Srinagar: As the first phase of urban local body polls in Jammu and Kashmir ends with a wide gap between voter turnout in the Valley districts (8.3 percent) and Jammu (80.95 percent), candidates are hoping for some respite after being holed up in hotels—to ensure their security—for days. Consistent calls for a boycott, threats by militants and multiple incidents of violence pose a threat to the lives of candidates, scores of whom have been put up in hotels in Srinagar's Dalgate, Munwarabad, and Rajbagh. 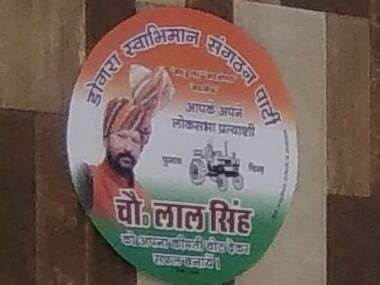 Fayaz Ahmad (name changed) was moved into a hotel in Rajbagh, along with at least a dozen other candidates nearly a fortnight ago. The hotel, being guarded by personnel from Central Reserve Police Force (CRPF), also has a few local police officers responsible for candidates' safety. In July, former Jammu and Kashmir governor Narendra Nath Vohra declared that the local body polls would be held in a phased manner. To combat the threat of militants, newly-appointed Governor Satya Pal Malik directed civil administration officials to provide adequate security to candidates. The two main political parties—National Conference and Peoples Democratic Party—boycotted the local elections (being held after a gap of 13 years) and called it “planted and misconducted” since “the time is not right for polls”. The killing of two National Conference workers on 5 October by suspected militants in Srinagar aggravated concerns. At least 10 panchayat buildings across Kashmir were also set ablaze, ultimately reportedly leading to the withdrawal of nominations by 45 candidates across the Valley. 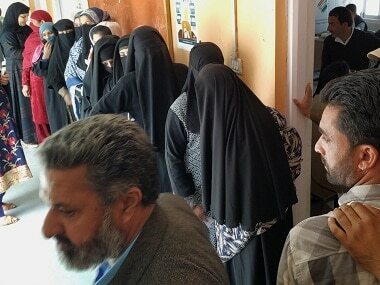 A candidate for Srinagar's Ward 62 said his home was attacked just days before he checked into the hotel. “That’s the reason why I had to seek accommodation from the government,” he added. As per another candidate waiting alongside Ahmad, a letter from the office of Srinagar deputy commissioner was sent to the hotel management asking for 'vulnerable' candidates to be allotted rooms. Additional Director General of Police (ADGP), Law and Order and Security, Munir Ahmad Khan said, “It wasn’t possible to provide individual security to each and every contestant. So we decided to accommodate them at hotels in Srinagar's secure areas.” The ADGP, however, said the duration of their accommodation has not been decided. “Once municipal and panchayat elections end, their security will be reviewed,” he added. Despite security cover, several candidates expressed concern over their safety. On 4 October, 79 Independent candidates put up in a hotel at Munawarabad took to the streets to express their displeasure. Khan claimed he approached the higher authorities “but there hasn't been any response”. 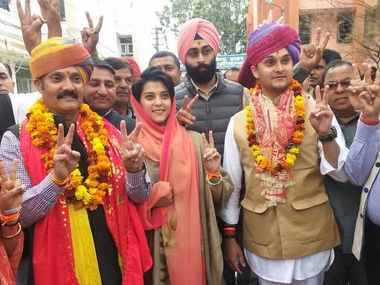 He also alleged there is a 'disparity' between Independent candidates and those belonging to the Bharatiya Janata Party (BJP). “Every BJP contestant has a personal PSO. A weapon has also been allotted to each of them for self-defence. Don’t we have the right to question such partiality?” he asked. According to Khan, this could also be a tactic to force Independents into withdrawing their nominations. 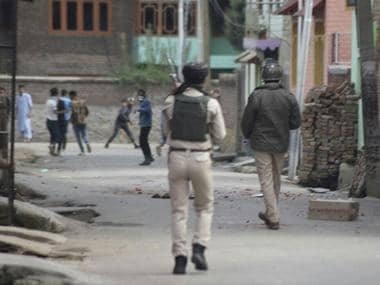 The attack on BJP Ward 15 candidate Adil Ahmad Buhru by stone pelters in north Kashmir's Bandipora, while he was on way to the polling booth, further unnerved the candidates who are now demanding adequate security even after polling ends. "We're very scared. The government needs to ensure our security even after the elections," another candidate from the same ward, speaking on condition of anonymity, said. 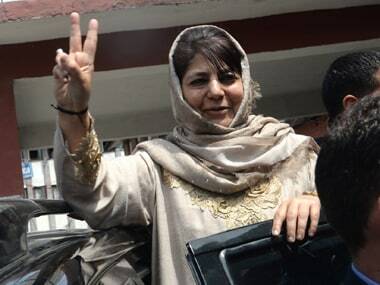 With the regional parties out of the fray, BJP and Congress are looking to capitalise on the opportunity to carve out a space for themselves in Jammu and Kashmir. This might be of little help since various pockets of the Valley are not favouring any political party: which led to 69 seats being uncontested in phase one. Nearly 17 lakh voters in Jammu and Kashmir will be eligible to elect representatives to 79 municipal bodies, including the Srinagar and Jammu municipal corporations. According to the state Election Commission, 2,990 candidates are contesting the four-phase polls which will end on 16 October. The results will be announced on 20 October.